Please note that the arrival date/time of the retreat has been moved to Sunday, March 4, 3pm. “Living the Practice” is a five-week immersion program that enables students to engage in a lifestyle based on virtue, self-discipline, and mindfulness that includes physical exercise, selfless service and Dharma study. 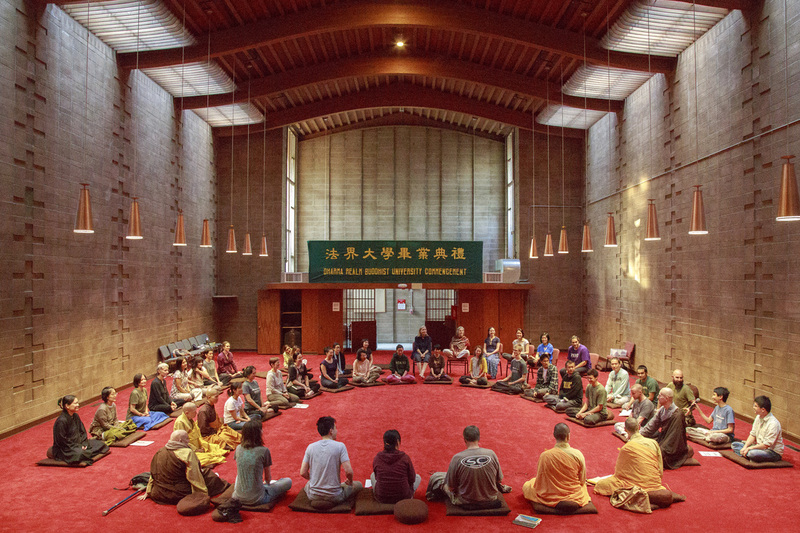 Our campus comprising of Buddhist monastics, laity, and students provides for a Dharma-based community that merges friendship, practice, and learning throughout the day. 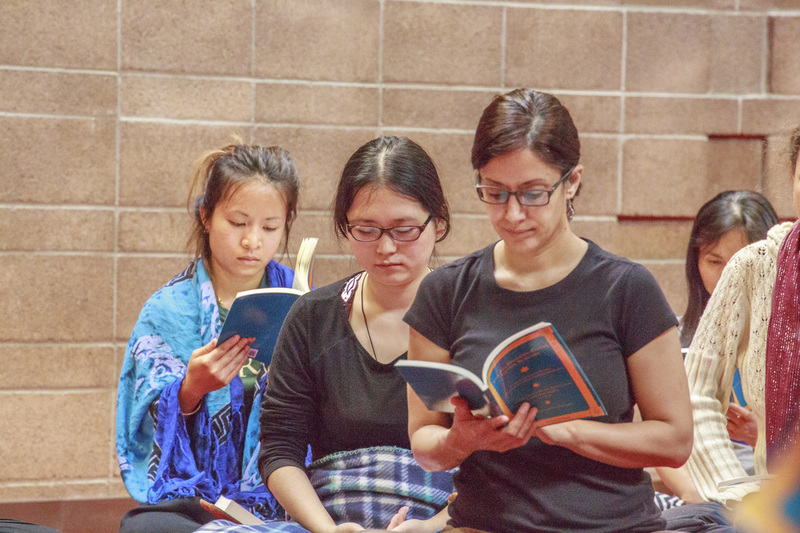 This program provides a foundation in Buddhist practice that combines study, meditation, and ceremonies based on primary texts. Suitable for both beginners and experienced practitioners seeking to discover Dharma in a traditional setting that responds to the conditions of modern life. This is an intense program that requires participants to observe the five precepts for the duration of their stay. We advise prospective participants to review the program description and schedule to carefully decide if this is for them. 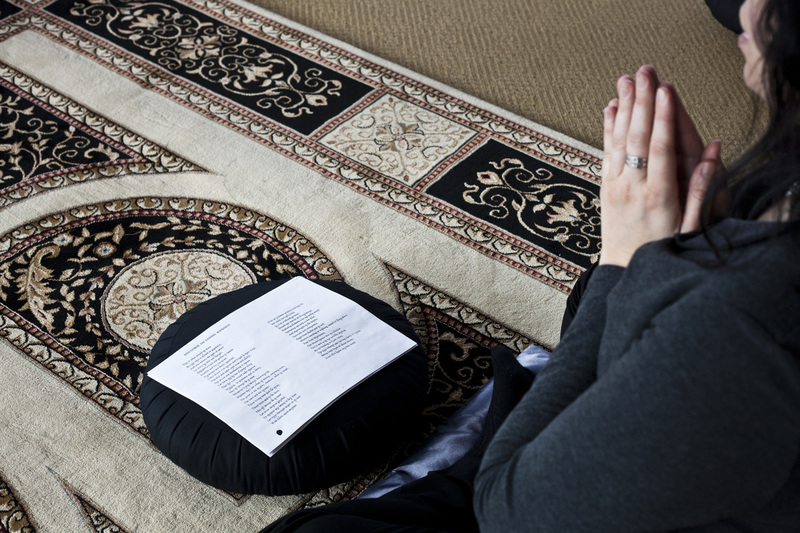 This program integrates spiritual practice, academic study, and community service. 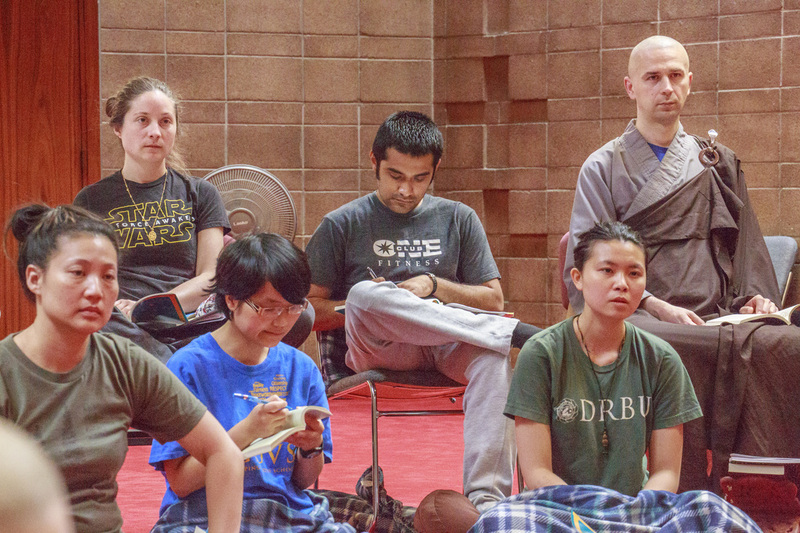 Students will be introduced to Buddhist thought, practices, and ethical principles rooted in the Sutras and Shastras. The Sutras, the recorded words of the Buddha, establish the foundation for spiritual cultivation, while the Shastras represent the works of eminent Buddhist teachers who have experiential understanding of the Dharma. Students will learn the ethical basis for practice by studying the precepts in a Buddhist community. The program will emphasize the application of Buddhist teachings and principles in everyday life. Students will learn various approaches to Buddhism, namely, Chan meditation, Canonical Study, Vinaya, Esoteric Practice, and Pure Land. A daily schedule of personal and community practice as well as intensive retreats facilitates the development of students’ mindfulness and concentration. Service plays a central role in bringing the Dharma into daily life, supporting others, and creating a sense of community. This approach to study, practice, and service within a wholesome environment allows students to activate their inherent capacity for wisdom and compassion. Venerable Bhikkhu Bodhi, a respected senior monk and translators of Pali Buddhist texts, will be teaching a 10-class series on one of his own translations, A Comprehensive Manual of Abhidhamma. These classes will investigate the various types of consciousness, the 52 mental factors, processes of cognition, and the development of the mind’s higher potentials. To develop a spiritual practice and grow in self-discipline through making a formal commitment to an integrated program. To build a foundation in the Dharma based on primary texts. 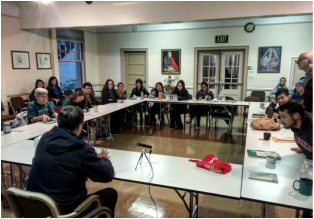 To learn from and support a spiritual community of monastics, laity, and students. To gain insights from careful reading of texts and explain their application to the personal, social, and natural worlds. Students are expected to follow the DRBU Code of Conduct and Rules of Residence as well as follow the Five Precepts on campus (not killing, not stealing, no sexual misconduct, no lying, and no intoxicants or illegal substances) and conduct themselves in an appropriate manner in the surrounding communities. Commitment to engage fully in the schedule of practice, study, and service. If its not possible for you to participate in the entire five weeks but you'd like to attend part of the program, please speak with us. We are happy to accommodate alternative schedules when possible. Please email Kien Po at kien.po@drbu.org. Have a regular Dharma practice. Attended an intensive meditation retreat before. Our goal is to provide every admitted student the opportunity to attend. We believe a student’s financial resources should not be a barrier to enrollment. If the cost of the program presents a difficulty, please contact us at info@drbux.org. Students should factor in the cost of basic medical insurance as part of their total expenses. DRBU does not provide medical insurance. Students are required to submit proof of medical coverage prior to enrollment. International students are responsible for securing their own visas to enroll in this immersion program. Some countries allow for students to visit the U.S. for three to six month stays without a visa. 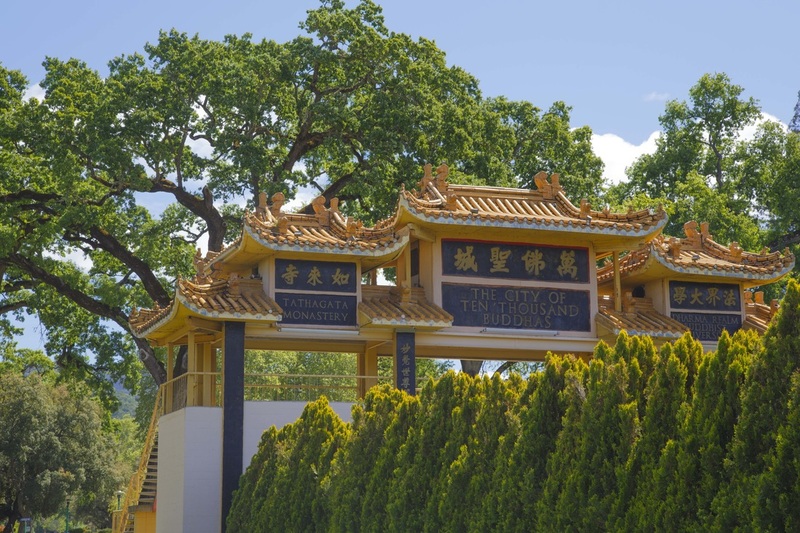 Please check with the immigration laws of the U.S.
Dharma Realm Buddhist University is currently not authorized to issue the I-20 application for admission of non-immigrant students. Completion of the program does not confer any formal academic or vocational degree or certificate. Completion of any course in the program does not confer any transferable unit. For any additional questions, please contact immersion.program@drbux.org.